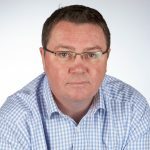 We are glad to announce that Mike Hobson has joined Exalead as Sales Director for the UK and Ireland. Prior to coming on board, Mike was the UK Sales Director at Autonomy. Mike is responsible for overall business in the region with a special focus on partnerships. He has over 18 years experience in sales and sales leadership roles working for leading software companies including Autonomy, Verity, Information Builders and Interleaf. We wish him good luck in his new role!